We have had continuous rain here since last night – and a lot more to come!!! Still some are enjoying it…………. 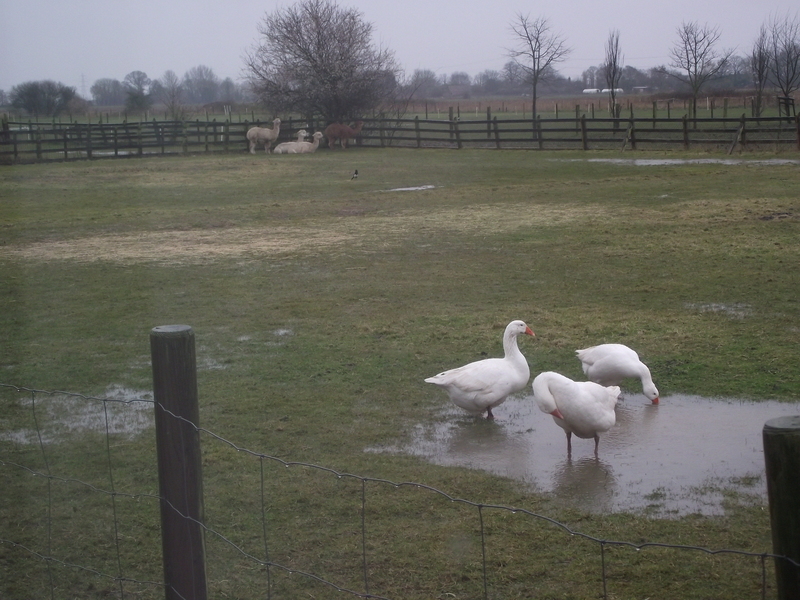 This sadly is one of our pastures, the Geese have learnt to limbo under the gate into it, because as you know the grass is always greener….. The Girls were nice and snug in their shelter working their way through a fresh bale of hay when I let the Geese out. 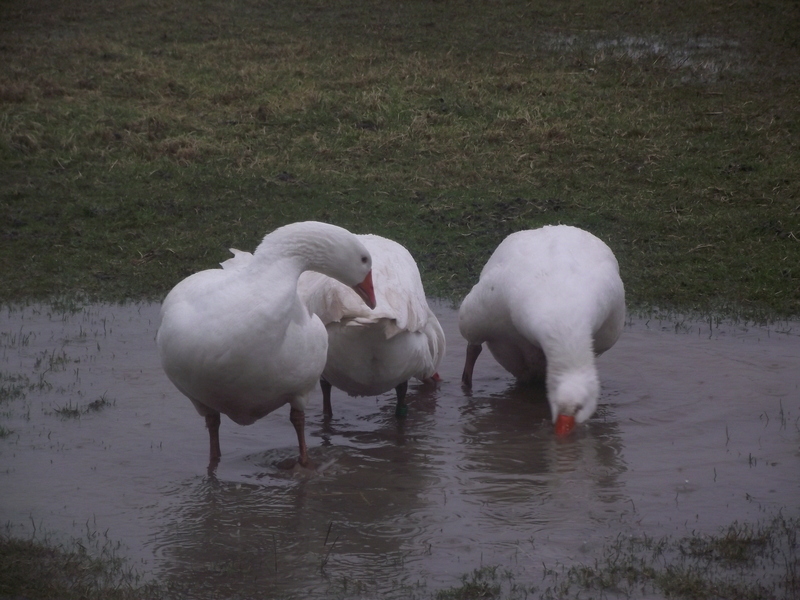 Seems they preferred to come out and get wet and miserable…………. The Girls and the Boys self manage when it comes to going in or out – they have food inside so they move themselves in towards the end of each day, and come out again in the morning. We have only once had to bring the Boys in when we had a prolonged period of rain a few years back – the fields were turning to mush and even the shelter was damp. We put them up in our stables for a few days for everything to dry off a bit. Forecast says 5 days of sun and no rain – so I’m not over worried about the puddles at the moment!!! EDIT. 3.30pm. More rain – the Girls have put themselves in – and are happily munching hay and drying off. However, I have looked again at the Boys fields and they are not good anymore – I have brought them in (well I opened the stable door, opened the gate and they just walked in themselves)……. 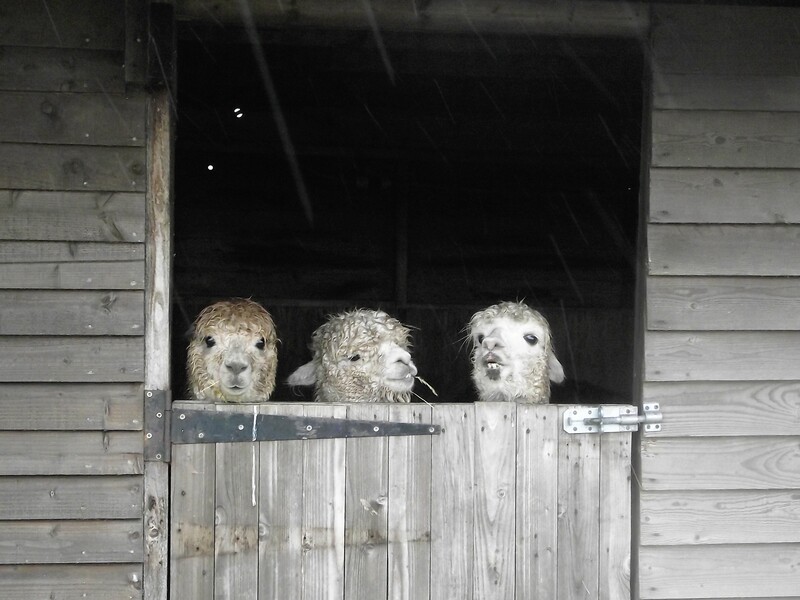 The Three (wet) Monkeys……..the other is digging into the hay at the back. 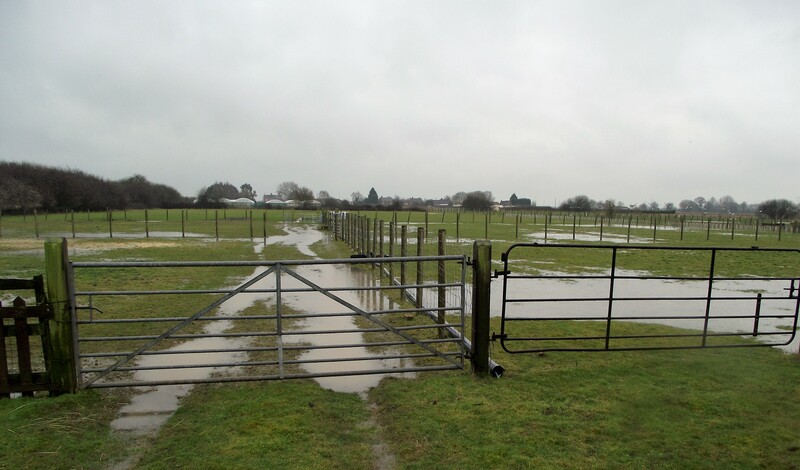 This is how the field look now……………..